Forrest Stavish grew up in Western North Carolina, and now resides in Hot Springs, NC. He was introduced to the outdoors at an early age, when his father would take him hiking and backpacking. His first backpacking trip was at four years old when his family visited the Adirondacks. Through middle school, he attended a community charter school in Asheville, NC called Francine Delany New School for Children. Their use of experiential education provided him with the tools necessary to become a guide and educator. Forrest is an American Mountain Guides Association (AMGA) Single Pitch Instructor, and is currently working on obtaining his credentials as an AMGA Rock Guide. He holds a North Carolina EMT-B certification as well as Wilderness EMT, SARTECH II, NC High Angle Rescuer, and holds many certifications in Incident Command and Fire Fighting. Forrest is currently the Assistant Chief of Spring Creek Volunteer Fire Department, works as a pick-up firefighter with the NC Forest Service, and as a climbing instructor for Frog Hollow Outdoors and The National Center for Outdoor and Adventure Education (NCOAE). Forrest spends most of his free time rock climbing, but also loves ice climbing, backpacking and mountaineering. When time allows he may also be found mountain biking or fly-fishing. 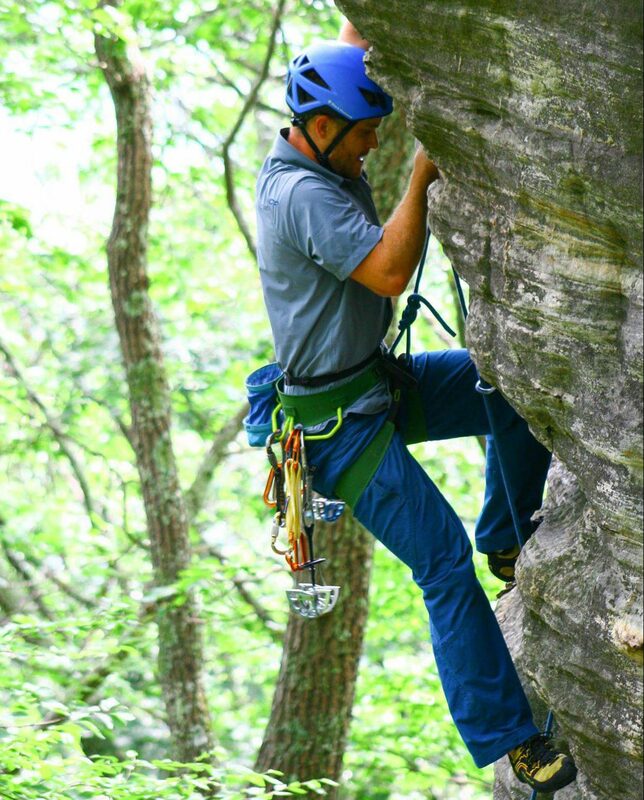 To book a climbing trip, contact Frog Hollow Outdoors, at info@froghollowoutdoors.com or call 919-416-1200.